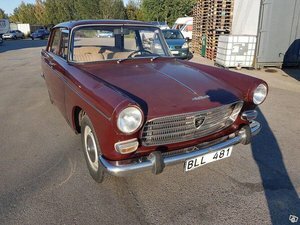 A lovely and especially an original Peugeot 404 Convertible. 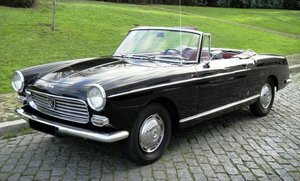 First registered in France in 1962. It still has the original ‘Carte Gris’ finish. 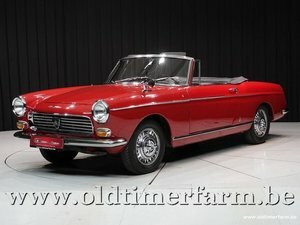 Exported to the Netherlands on the 19th March 1994 to a Dutch Peugeot enthusiast. 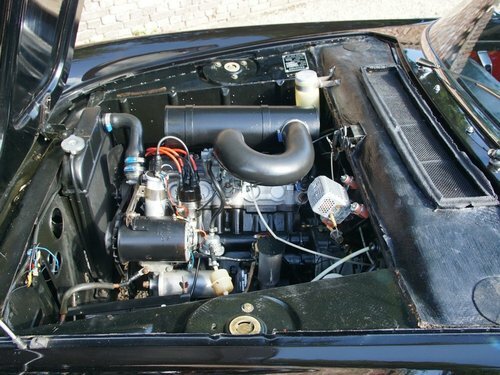 He has kept the car until now for the last 24 years and has maintained it in, well-documented, excellent condition. 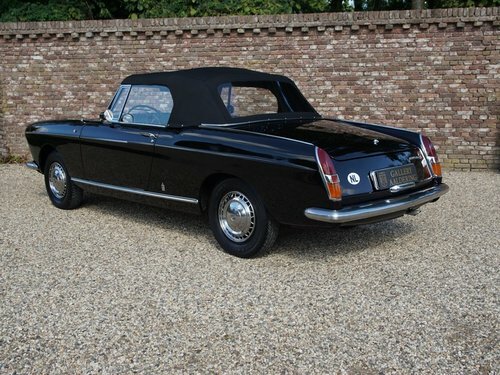 In 2000 a major overhaul saw the gearbox and starter motor revised, fitted with new clutch plates, suspension rubbers and a new soft-top installed. 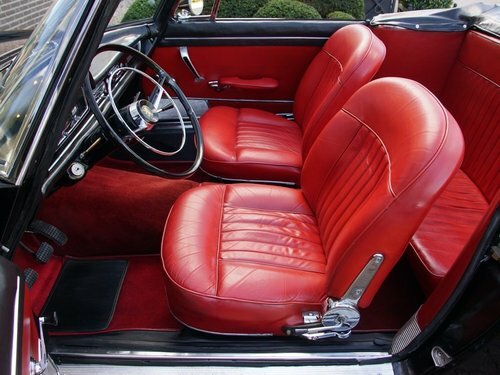 The trim is a fabulous combination of black and red leather and the cars` interior is in a very neat, superb state. 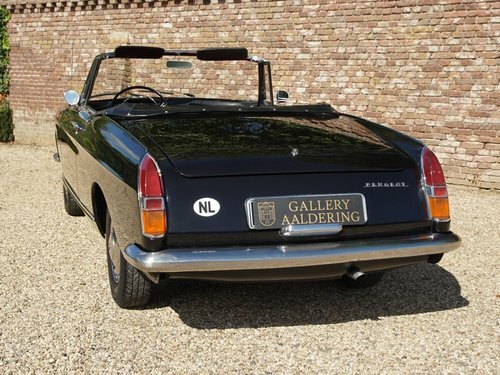 The straight bodywork is very nice with correct body panel fittings and a good quality finish. The underbody is rust-free and in a very good state. 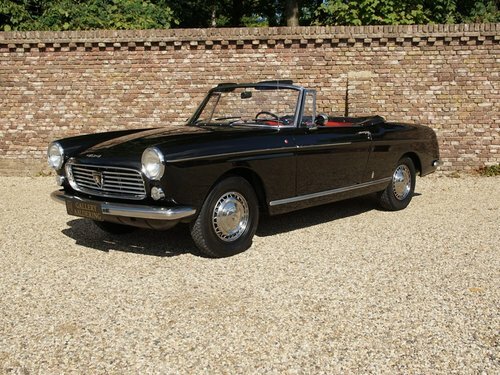 A beautiful Italian sculpted convertible from the drawing board of no one less than Pininfarina! 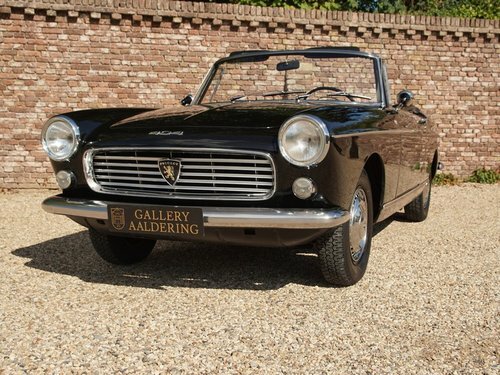 1968 Peugeot 404 Pininfarina Convertible rare footshifter!